PHILADELPHIA, Pennsylvania -- A written note described by authorities as rambling was found inside the striking vehicle that slammed head-on into an SUV killing three people connected to the famed Mummers. Philadelphia police have not determined if it was a suicide note found in 29-year-old Keith Campbell's 2014 Audi A4. The Delaware man remains hospitalized in critical condition, suffering from multiple stab wounds that authorities say may have been self-inflicted. A knife was also found in the vehicle. They are looking into whether he was under the influence prior to the crash. Campbell is facing charges including four counts of accidents involving death or bodily injury in connection to the fatal collision that occurred around 1:45 a.m. Wednesday. Police say Campbell veered his Audi into opposing traffic and crashed into a 2015 Acura RDX. Joseph Ferry, 36, and his fiancee, 35-year-old Kelly Wiseley, were killed. The couple just got engaged on Christmas. Dennis Palandro, 31, was also killed. His 30-year-old wife remains in the hospital in critical condition with a broken pelvis. The victims were members of the South Philadelphia String Band. Palandro's father is a captain of the band. As the Mummers community heard of the tragedy, black bunting was hung at South Philadelphia String Band's clubhouse. On behalf of the officers and members of the South Philadelphia String Band, we are deeply saddened at the loss of our family members. The South Philadelphia String Band family will be making no further comment. The Palandros' neighbor Sam Kobielink Jr. says his prayers go out to the family. "There's no good way coming out of this. 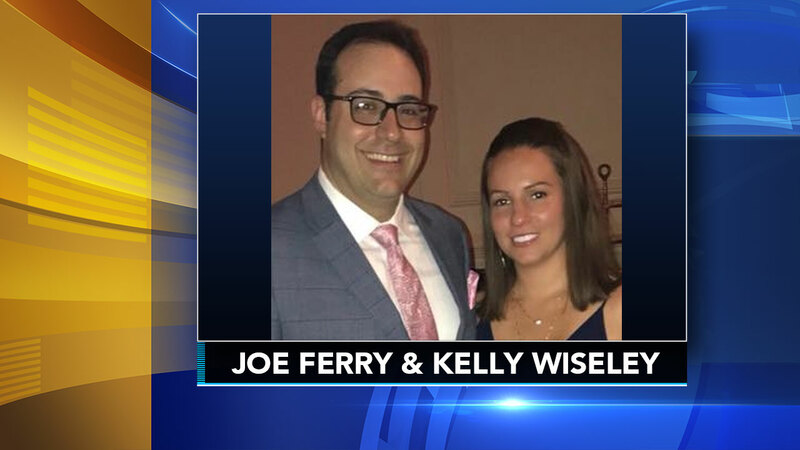 She's got to wake up and her husband passing," said Kobielink Jr.
Victims with ties to Mummers killed in South Philly head-on crash as reported by Dann Cuellar during Action News at 11 on January 2, 2019. 3 killed in head-on crash in South Philadelphia. Jeannette Reyes reports during Action News Mornings on January 2, 2019.